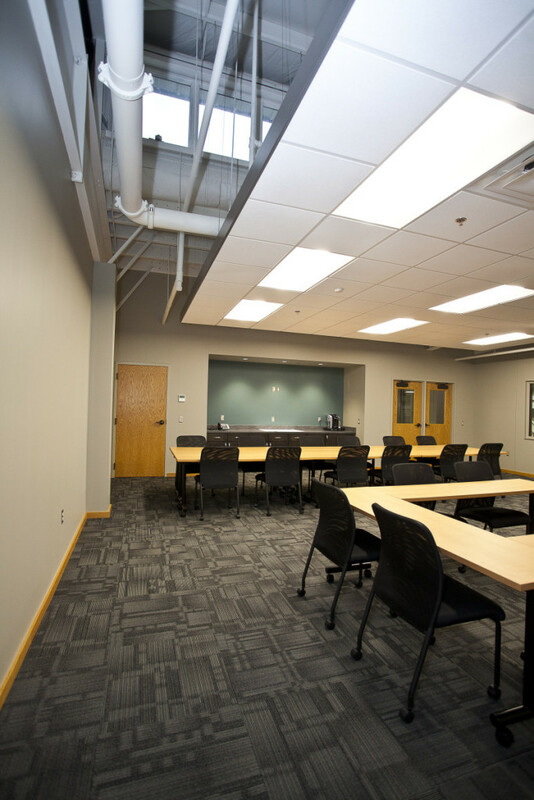 PRAB, Inc. Office Expansion and Renovation - Byce & Associates, Inc.
Design Program: Early 2016, PRAB, Inc. purchased an existing 12,000 square foot office and manufacturing facility across the street from their current building. 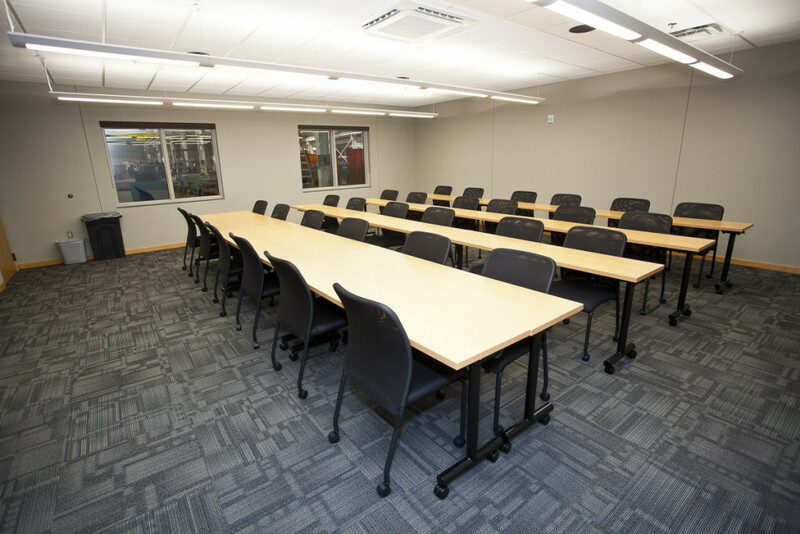 Viewed by PRAB, Inc. as a conveniently located option to accommodate their ever-expanding employee numbers and needs, we were asked to renovate and update the existing 1st floor area. 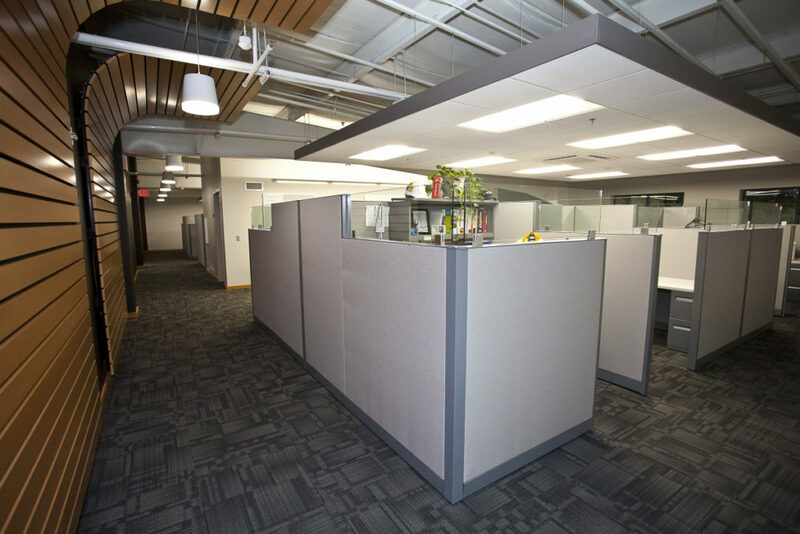 The renovation included new open office cubicle stations and private executive offices, as well as, challenged to design a more unique, usable, and flexible office and conference spaces out of the original mechanical mezzanine of the manufacturing facility. 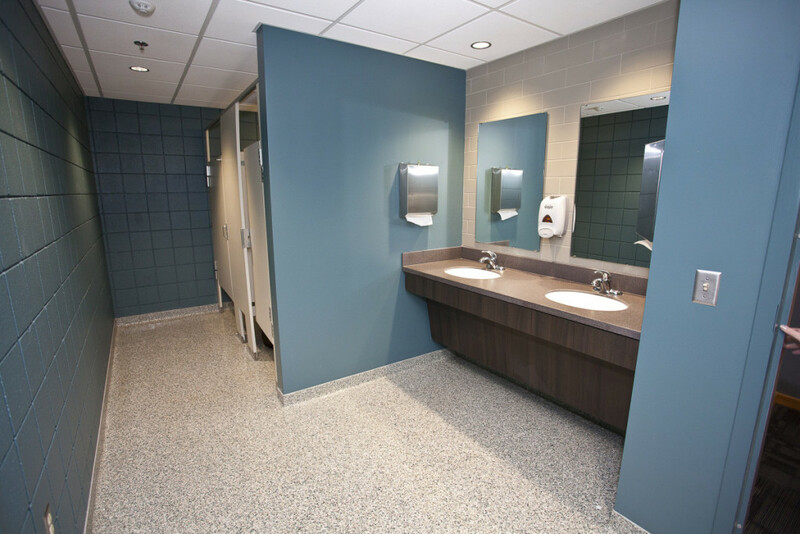 The interior design team utilized new, current colors, finishes and furnishings to cohesively update both levels of this new PRAB, Inc. work environment. Unique design details, such as exposed ceilings with floating acoustical light “clouds” over work stations, and an innovative use of floor to ceiling curve slated wood features incorporated along an open corridor were used to get a better sense of height. 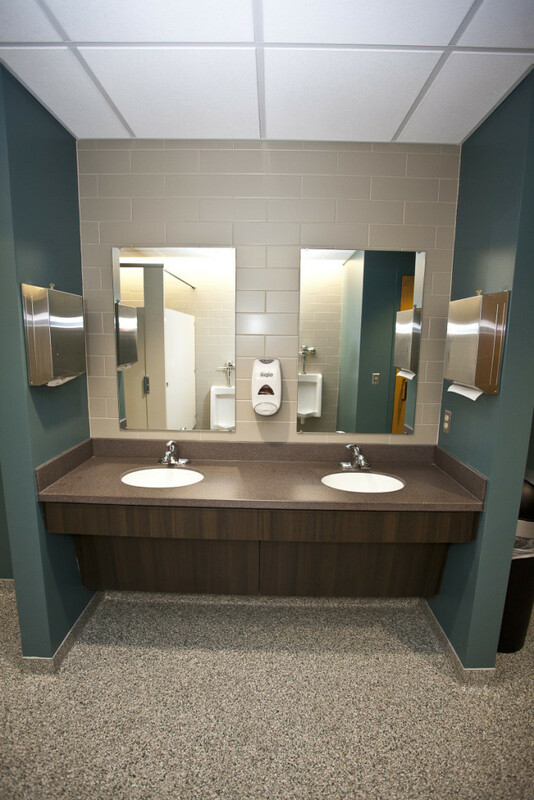 All the design features collectively were used to provide PRAB, Inc. with a brand new, aesthetically modern and pleasing, functional work environment for all their business, engineering, and support staff to enjoy. 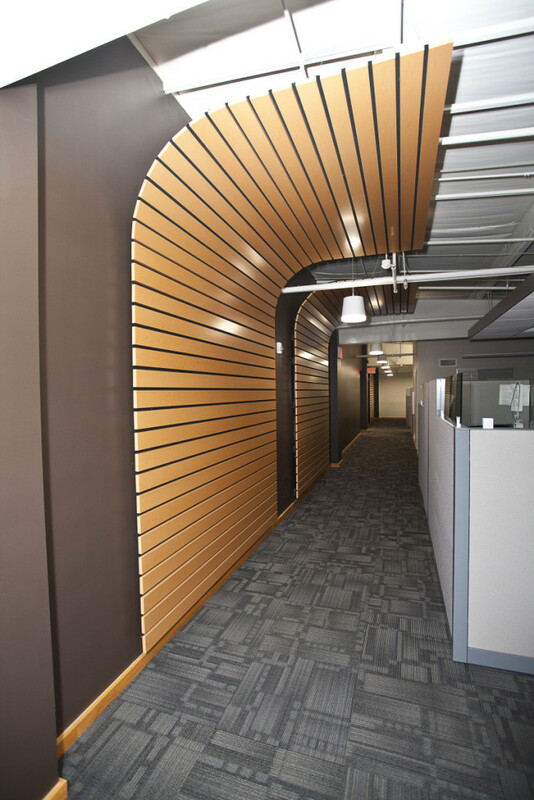 Design Challenges: PRAB, Inc. required a limited time frame for all of their production office staff and functions to be relocated into the newly renovated facility. Weekly project progress meetings between all construction, architecture, and client representatives were needed to effectively coordinated all work involved and stay within the budget and on time.